DES MOINES — Malory Henze threw a lifetime best in the discus, a haul of 116 feet, 10 inches, and took second place at the Waukee Girls’ Invitational on Tuesday. Jill Podhajsky was fourth in the discus as well, throwing 108-3. Regan Mazour cleared 4-9 in the high jump, tying for ninth. Junior Alyvia Chadderdon took ninth as well in the long jump, going for 15-3 1/2. Mazour was 13th with a leap of 14-8. 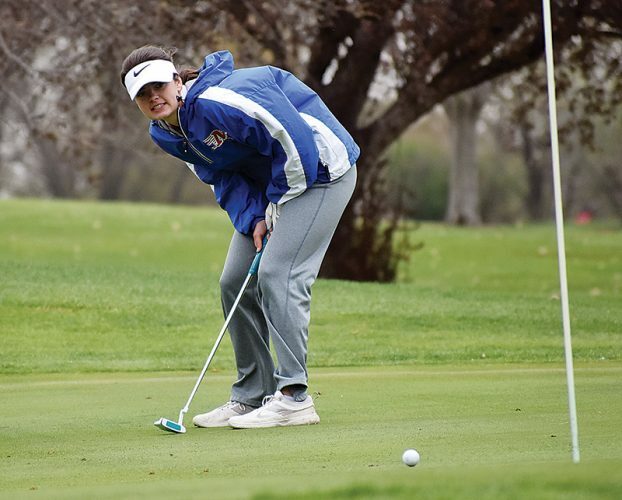 TAMA — The South Tama Country girls’ track and field team came away from their home meet Tuesday with a 143-point win against area schools, winning the South Tama Co-Ed Early Bird meet. A total of 11 events were won by South Tama athletes. Allison Yuska, Jensen Vodochodsky and Sabrina Holtz all got individual wins, while the sprint and distance medley relays earned wins as well. Yuska won the 400-meter run (1 minute, 2.92) and the 400 hurdles (1:08.31). Vodochodsky was first in the 800 (2:43.76) and the 1,500 (5:37.27). Holtz won her field events, throwing 34 feet, 3 inches in the shot put and 95-5 in the discus to take gold in both events. The GMG girls were third with 94 points, led by Kyla Wilkening’s first-place time of 11:55.12 in the 3,000 and a second-place finish in the 1,500 (5:43.61). The GMG 4×200 relay was first in 1:59.03 as well, with the sprint medley coming in second (2:03.97). East Marshall was fourth with 90 points. The Mustangs touted second-place finishes in the 800 from Madi Duncan (2:50.67) and Cindy Liera (2:54.16). Wendy Liera was also second in the 3,000 (13:24.76). BCLUW was fifth with 73 points, with Jenna Willet carrying the lone Comet champion in the long jump, winning the event at 15-7.5. Kiersten Kruse was third in the high jump, going for 4-10 and Samantha Ubben was third in the 200 (29.65) for six points. TAMA — The East Marshall boys track and field team rode its relay events to a second-place finish at the South Tama Co-Ed Early Bird meet Tuesday, scoring 130 points. The Mustang 4×200-meter relay team (1 minute, 40.27 seconds), 4×400 (3:43.72), 4×800 (9:29.32) and distance medley (4:04.81) squads all took first place Tuesday. The sprint medley team was second (1:43.17) while Logan Nicholson took first in the 400 hurdles (1:01.67). The BCLUW boys found success from distance runner Caleb Silver, who won both the 1,600 (4:58.87) and the 3,200 (10:44.01). Jack Garber won the 110 hurdles (15.85) and Clay Silver was second in the discus with a throw of 122 feet. 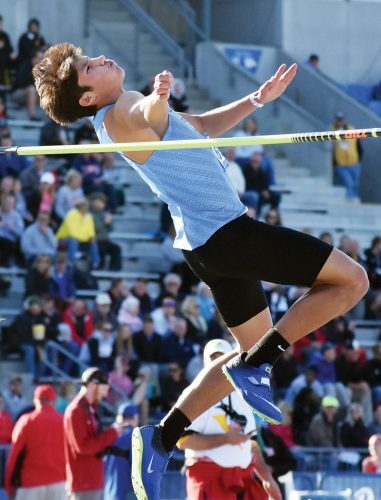 South Tama was led to a fifth-place finish (65 points) by the back-to-back finish from Keith Keahna and Justus Ward in the high jump. Keahna leapt for 6-0 while Ward was at the 5-4 mark for the Trojans. GMG was sixth with 36 points. The 4×100.25 relay team of Connor Casto, Darrin Anderson, Wesley Steiner and Garrett Groth took third in a time of 56.40. Ethan Karsjen was fourth in the 800 (2:18.67) as well.